The biggest and most impressive our 5 bedroom villas are perfect for larger groups, big family holidays or those who just want the extra space and added luxury. 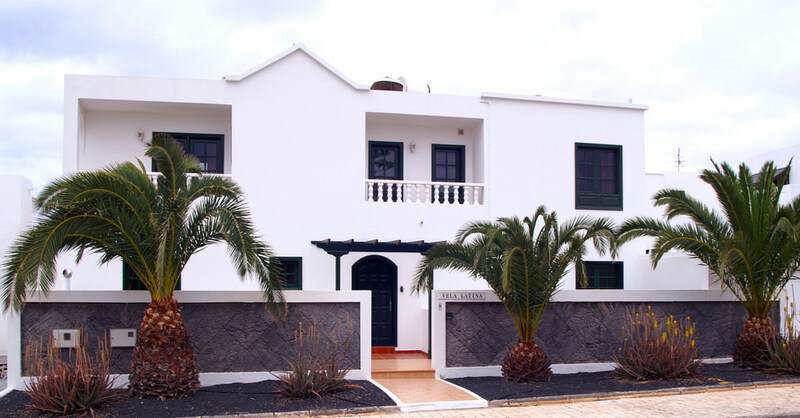 Set slightly further back from the beach than our 3 and 4 bedroom villas you are still close enough to Costa Teguise to be near to the local amenities whilst still maintaining the same levels of peace and quiet. Featuring 2 wonderful king sized bedrooms, one of which has its own luxurious en suite, a double bedroom and 2 twin bedrooms. Our largest villas can sleep up 12 people in incredible comfort amidst beautiful surroundings. Smaller guests are provided for with cots and high chairs available on request. 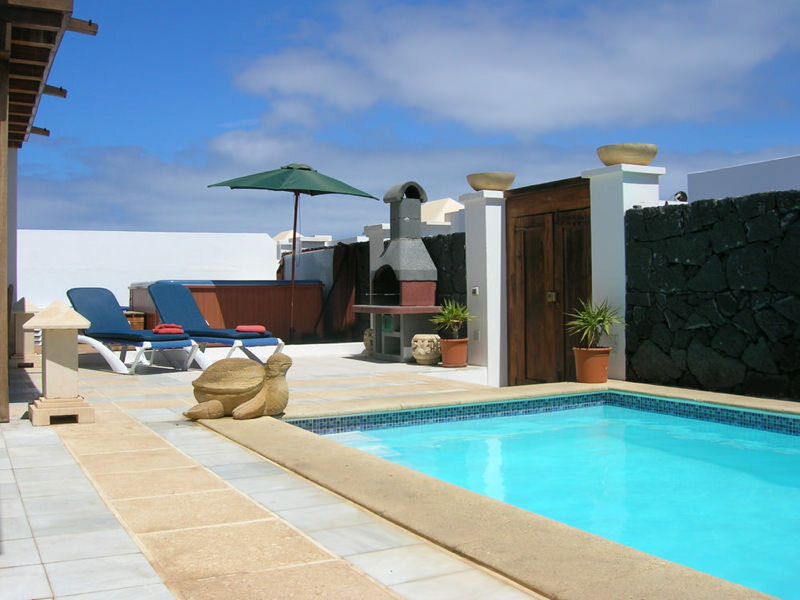 In our 5 bedroom villas aside from the en suite bathroom there are an additional 2 bathrooms both with bath and shower facilities. The fully fitted kitchen comes with everything you will need including washing machine and dishwasher. The large living room area has comfy leather sofas, Wi-Fi and TV with English speaking channels. What really stands our 5 bedroom villas apart from the others is that they all have their own private games room featuring a variety of different activities so, you will never be short of something to do. 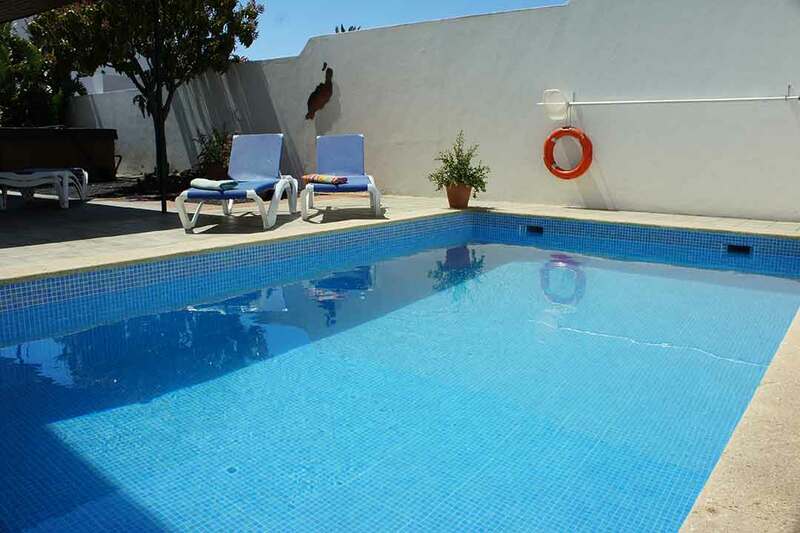 With pool tables, dart boards and table football available there’s a lot to do without even leaving the villa. Outside you have the luxury of a large heated pool and hot tub, giving you the option of having a swim or simply unwinding in the patio tub. 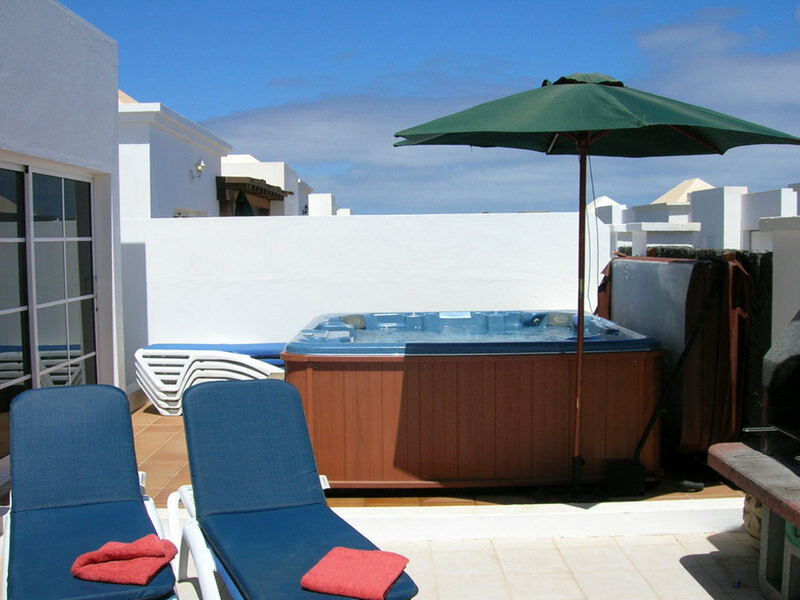 We expect people to take full advantage of the pools in the villas which is why we give you complimentary towels and hairdryers to use during your stay. 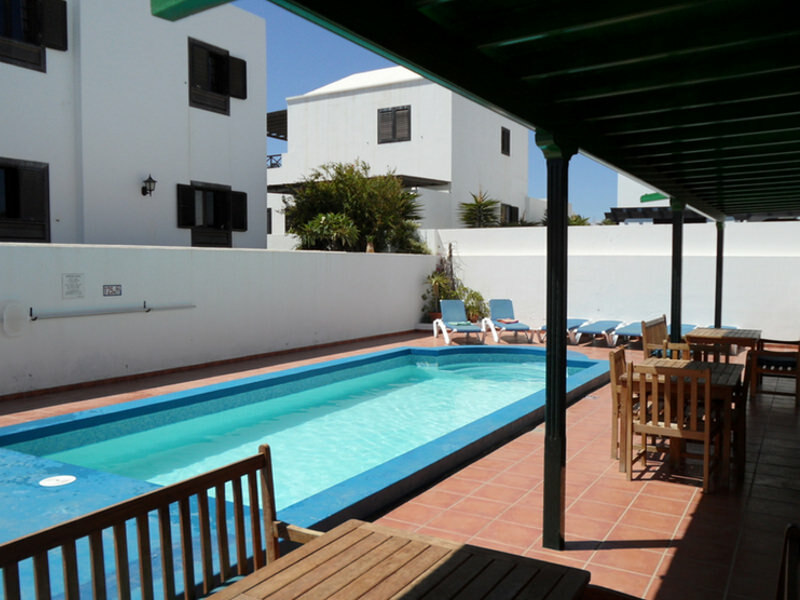 If you want to go outside but don’t fancy getting your feet wet, there’s a large patio and covered veranda area allowing you to soak up the sun or sleep in the shade. 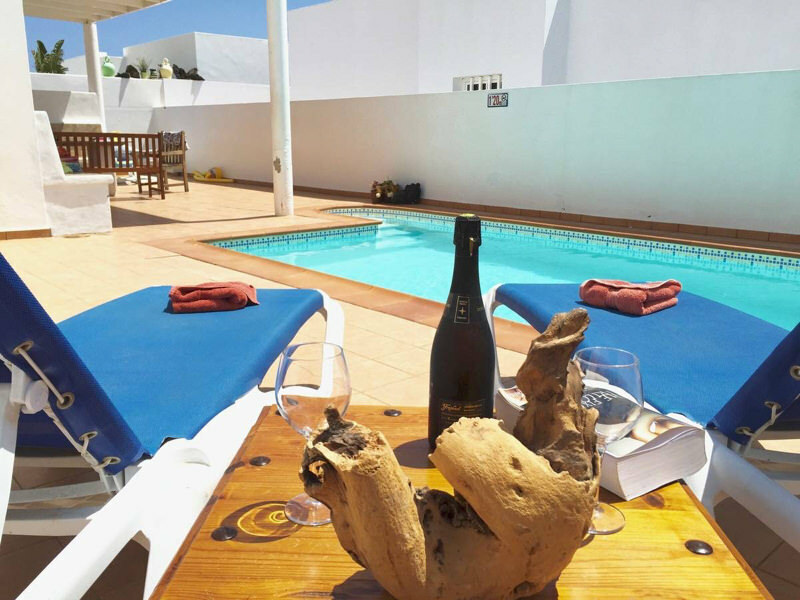 The patio also features a BBQ, so if you did want to cook instead of visiting one of the restaurants in Costa Teguise you don’t need to miss out on the fantastic Lanzarote sunshine. If all the fantastic features of our villas were not enough, when you arrive you will also be given a free welcome pack with cold drinks and snacks to help you to get settled in right away.